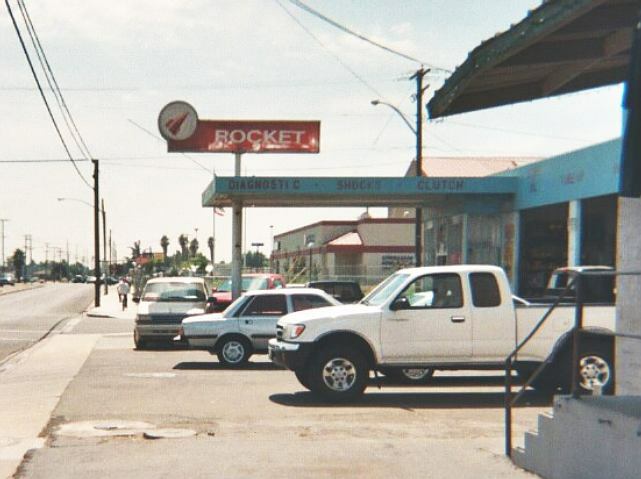 ROCKET dates back to the 60's or earlier, connected with RIO GRANDE GASOLINE. 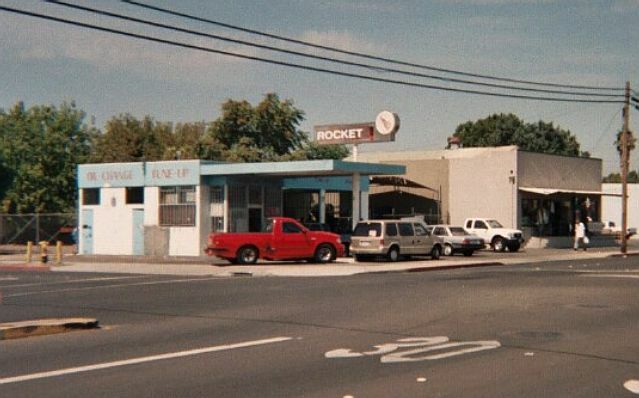 This station, the "Lander Rocket" is found on Lander Avenue in Turlock, CA. 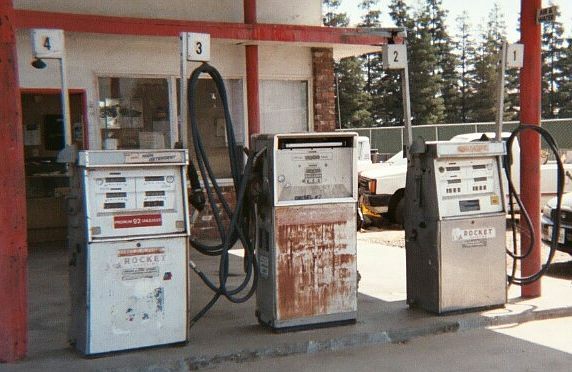 Photos taken August 2003 by J. Eric Freedner. Building now used for car repairs, but old Rocket sign is still on roof. appears to be made of wood. Building is abandoned at present. Photo taken Sept. 3, 2003 by J. Eric Freedner. 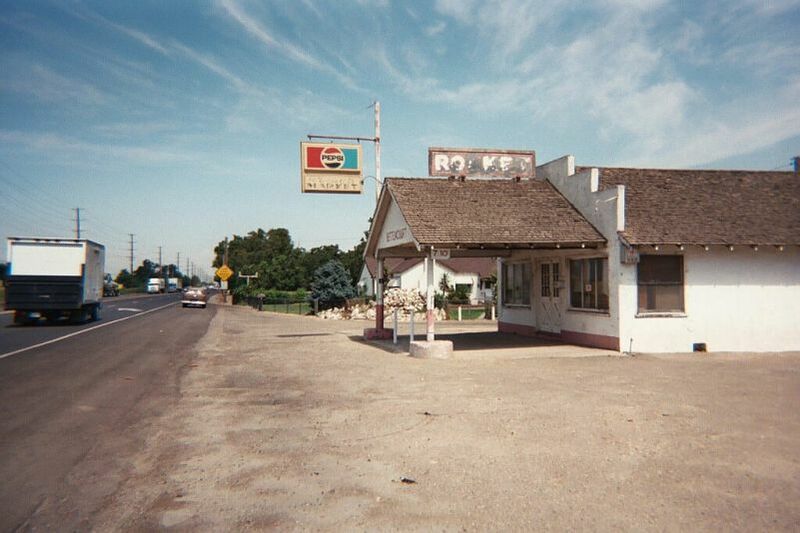 in Hilmar, California along Route 165. Taken Sept. 1, 2003 by J. Eric Freedner.